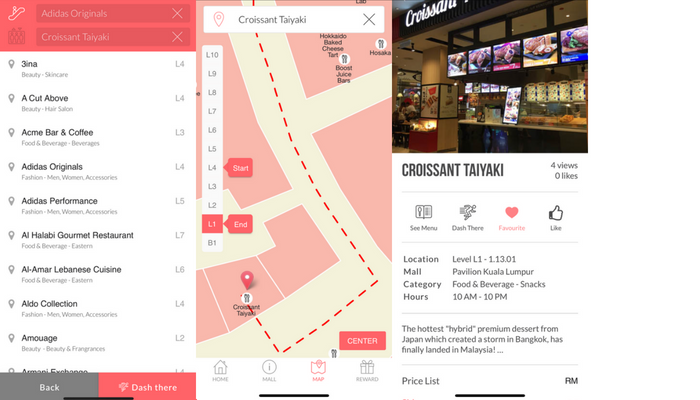 MallDash aims to be the Google and Waze for malls, helping people by providing an app which they can search every mall, every shop, every item and every event in the mall. 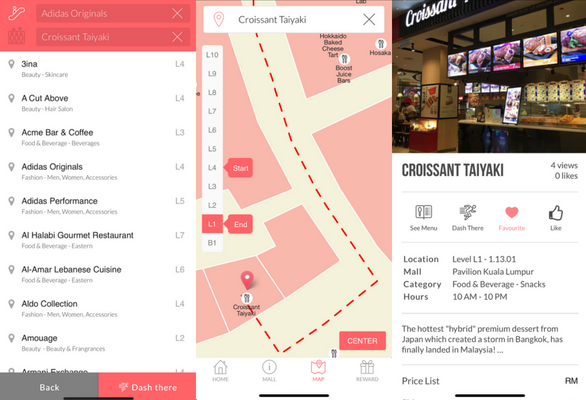 MallDash currently covers more than 50 shopping malls in Malaysia and has a database of more than 13,000 stores and more than 3,000 searchable menus and service prices. Ever been to a shopping mall with a mission to get a specific item? Then you can’t find it because the mall is huge and the directory doesn’t really help as it doesn’t list what items the shops sell? This is precisely the issue that MallDash wants to solve. “It started from not being able to find an item in the mall easily. It is actually quite difficult when you know what to buy, but you have to scour a large mall to look for a specific item only to find out that the stores do not carry that specific product.” said Andrew Foo, co-founder of MallDash. Since the early 90s when malls started becoming a trend, the mall experience has remained unchanged. After years of shopping in malls with little innovation from the sector, Andrew and his partner KK Ng decided to do something about it. KK has a management consulting background while Andrew has a background in banking. The concept of MallDash was born in 2016 while the first mass market version was launched in July 2018. 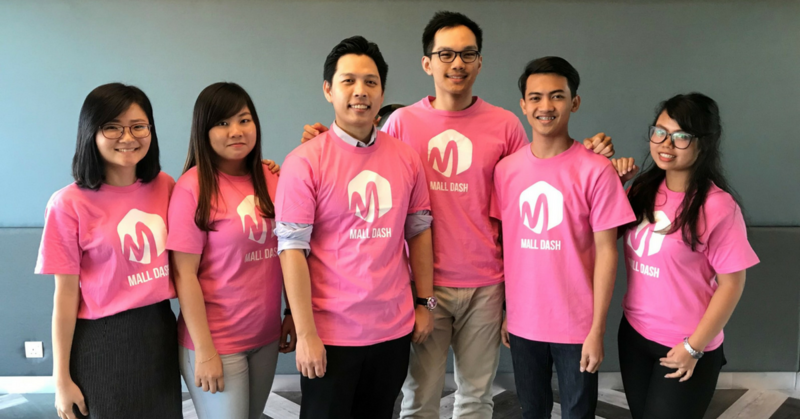 “At the same time, MallDash hopes to make the mall ecosystem more competitive by providing shoppers an experience on par with the e-commerce experience,” Andrew added. It was Warren Buffet who was speaking to a crowd when one analyst asked him, “There are so many stocks in the stock market, how do you analyse all the stocks in the market?”. This gave Andrew and KK the inspiration to create an app where every mall, every store and every item offered is all in one app. Today, MallDash has a repository of more than 13,000 stores and more than 3,000 searchable menus and service prices. However, it wasn’t easy to record so much data as they had to physically visit all the shops themselves. “Every store and every line on the map is geographically accurate across more than 100 million square feet of retail space,”Andrew said. To get an idea of that scale, take for example, One Utama, which is more than 5 million square feet. Times that by 20 and you have 100 million square feet. That’s how many square feet the team have covered. Starting up is tight for many startups as they do not have the funds to even rent an office. “As we could not afford to rent an office, MallDash started in a store room in a friends office in Petaling Jaya. In a space as small as a bed room, we managed to fit a team of 6 people,” said Andrew. 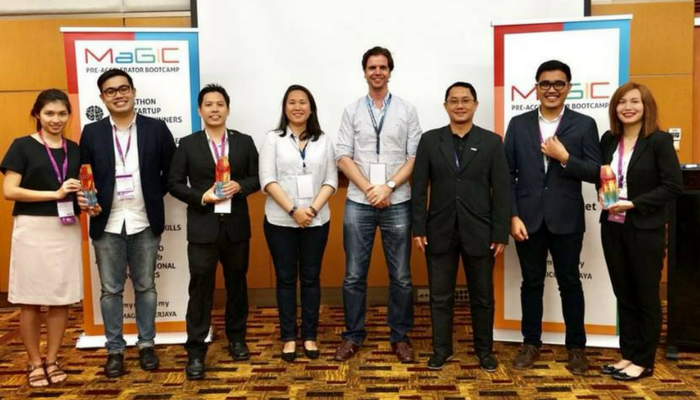 However, they have managed wonders and even won a few awards, MallDash recently took part in the MaGIC Pre-Accelerator Bootcamp and were selected as the winners for the event held at the Global Entrepreneurship Community Summit 2017 at KLCC. They also came in the top 10 for the Selangor Accelerator Program 2018 and will by flying to China to visit some companies including the Alibaba Campus. It took the team around 2 years to perfect the app as it was a technological challenge because most of the technology they’re working with is new. It was a huge learning curve for the team to design and build everything from zero. “The other challenge for MallDash is similar to what other young startups face. As a new player, it is often difficult to get the word out and to get noticed,” said Andrew. However, they have managed to cover 50+ shopping malls nationwide, located across the Klang Valley, Penang, Johor, Pahang, Putrajaya and Malacca covering more than 13,000 stores. MallDash is running a referral campaign where users can get RM25 worth of shopping vouchers when they download and use the app. Readers can get this by using “VulcanPost” in the referral section to get the voucher until the end of August 2018. MallDash is available for download in Google Play and Apple App Store.